Establishing legal guardianship of a child, incapacitated or otherwise developmentally disabled adult is important to their well-being now and in the future. 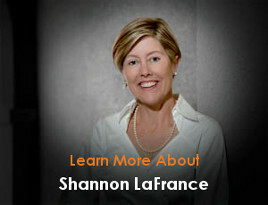 Shannon LaFrance has worked as a guardian advocate since 2012. 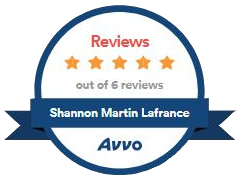 She brings not only a vast knowledge of guardianship law, but the passion and sensitivity that are required to help settle these matters the right way. Guardianship can be established for minor children or adults you are incapable of caring for their property or themselves. A Guardian of Property is responsible for a wards property and assets. Guardianship of a Person allows the guardian to have complete responsibilty for both the ward and their assets. Guardianship is the legal status that grants a person or institution the ability to look after the overall well-fare of a person who is unable to do so on his or her own. Children and adults that have developmental disabilities or are otherwise unable to properly care for themselves may be appointed a guardian. A guardian can be responsible for their ward’s (the legal term for someone that has been appointed a guardian) personal property, well-being and an assortment of other aspects as determined by the state of Florida courts system. The responsibilities of a guardian vary depending on the unique situation of the guardian’s ward. Some guardians handle all aspects of their ward’s personal property and health while others have limited guardianship to handle the tasks the ward is unable to complete. There are two different scenarios in which Florida courts can determine that a guardian is necessary: either the court will determine that a guardian is needed for a minor or it will determine that an incapacitated (disabled) adult needs guardianship. Are you or someone you love in need of a dedicated guardian? A request for guardianship can also be petitioned by the individual or a resident of the State of Florida by submitting a Petition to Determine Incapacity in conjunction with a Petition for the Appointment of a Guardian. These petitions are provided to the State of Florida court system and provides reasons why the subject of the petition should be considered incapable of caring for themselves and can nominate a guardian respectively. The person appointed guardianship can be either a Guardian of Property or a Personal Guardian. A Guardian of Property focuses solely on a minor’s or incapacitated person’s assets. These assets can include real-estate, bank accounts and stocks. It is the responsibility of the guardian to take an initial inventory of the assets and annual reporting is required to ensure that the guardian is acting in the best interests of their ward. Guardianship of a Person is established when the ward is a minor or otherwise unable to care for themselves. The guardian is then required to make decisions regarding everything from living arrangements to medical care and overall well-being. If there is reason to believe that a person with an established guardian no longer needs the assistance, a petition can be filed to revoke or otherwise alter the current guardianship agreement. The petition outlines exactly why the incapacitated adult no longer needs the assistance and how they plan to handle their personal affairs moving forward. 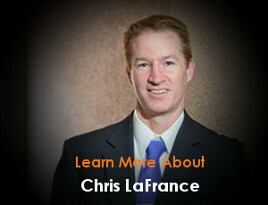 If you are looking to establish guardianship for a loved one don’t hesitate to contact us to see how LaFrance Law can guide you through the process with care. By submitting this form I agree to the Terms and Conditions and Privacy Statement. I understand that the use of this form for communication with the firm or any individual member of the firm does not establish an attorney-client relationship. Confidential or time-sensitive information should not be sent through this form.